Allin with VIM materials, c.1978. Allin considered mission to be the "true business" of the Church. 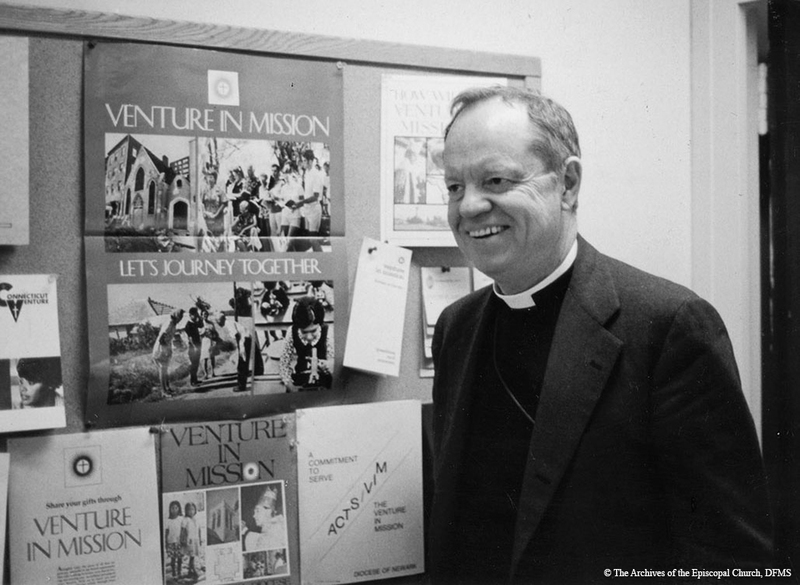 Venture in Mission (VIM), a large scale fundraising program for mission, was arguably his greatest success as Presiding Bishop. “Allin With VIM Bulletin Board,” Venture In Ministry: John Maury Allin, accessed April 19, 2019, https://www.episcopalarchives.org/jma-presiding-bishop/items/show/47.